Nonlinear aeroelasticity has become an increasingly popular research area in recent years. There have been many driving forces behind this development, increasingly flexible structures, nonlinear control laws, materials with nonlinear characteristics, etc. 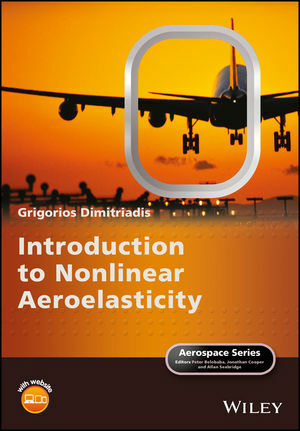 Introduction to Nonlinear Aeroelasticity covers the theoretical basics in nonlinear aeroelasticity and applies the theory to practical problems. As nonlinear aeroelasticity is a combined topic, necessitating expertise from different areas, the book introduces methodologies from a variety of disciplines such as nonlinear dynamics, bifurcation analysis, unsteady aerodynamics, non-smooth systems and others. The emphasis throughout is on the practical application of the theories and methods, so as to enable the reader to apply their newly acquired knowledge. Covers the major topics in nonlinear aeroelasticity, from the galloping of cables to supersonic panel flutter. Discusses nonlinear dynamics, bifurcation analysis, numerical continuation, unsteady aerodynamics and non-smooth systems. Considers the practical application of the theories and methods. Covers nonlinear dynamics, bifurcation analysis and numerical methods. Accompanied by a website hosting Matlab code. Introduction to Nonlinear Aeroelasticity is a comprehensive reference for researchers and workers in industry and is also a useful introduction to the subject for graduate and undergraduate students across engineering disciplines. Grigorios Dimitriadis is currently a full time Assistant Professor at the Aerospace and Mechanical Engineering Department of the University of Liège and a part time lecturer at the Institut Supérieur de l’Aéronautique et de l’Espace in Toulouse. His area of expertise is aeroelasticity, with particular application to nonlinear theoretical and experimental aeroelasticity, flutter testing, system identification, nonlinear dynamics and flapping flight. He is the Associate Editor for aeroelasticity in the journal Aerospace Science and Technology.